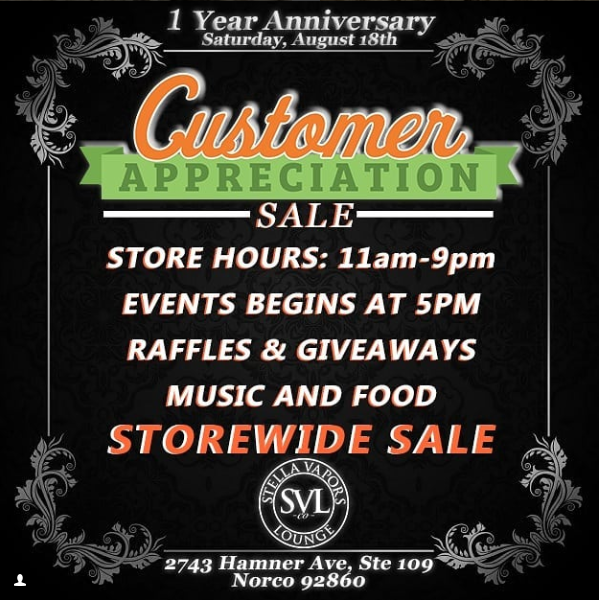 August 18th will mark the one year anniversary for Stella Vapors Lounge. In honor of that day, they will be having a Customer Appreciation Day! The Mayhem Squad will be there to celebrate this momentous occasion with them!